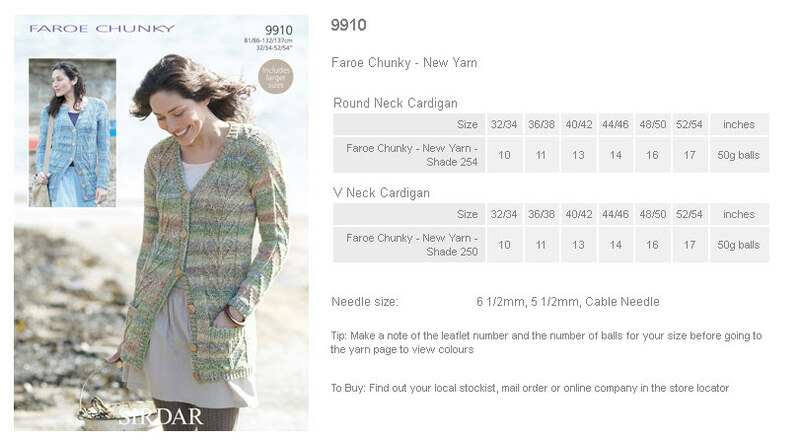 9910 - Round Neck Cardigan and V Neck Cardigan using Faroe Chunky Leaflet with designs for a Round Neck Cardigan and V Neck Cardigan using Sirdar Faroe Chunky. 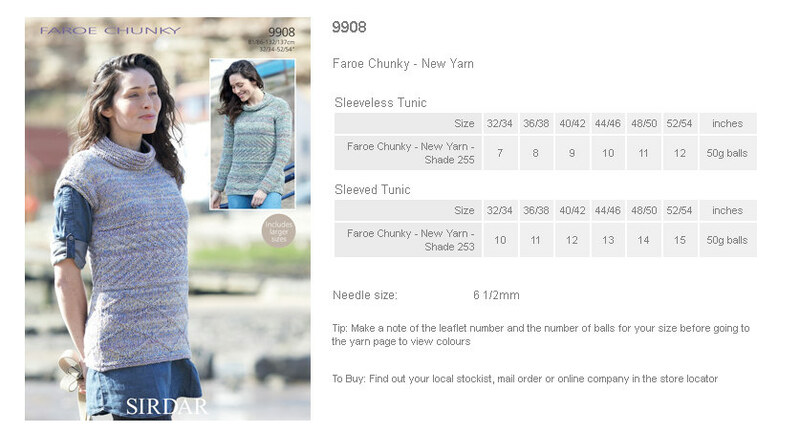 9908 - Sleeveless Tunic and Sleeved Tunic using Faroe Chunky Leaflet with designs for a Sleeveless Tunic and Sleeved Tunic using Sirdar Faroe Chunky. 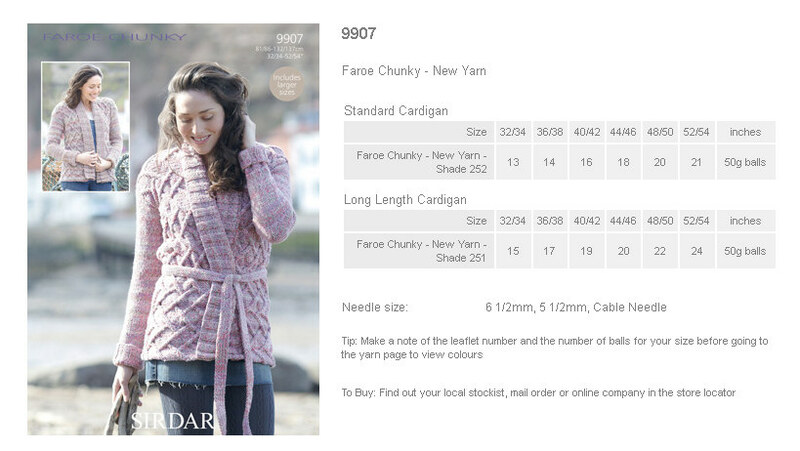 9907 - Standard Cardigan and Long Length Cardigan using Faroe Chunky Leaflet with designs for a Standard Cardigan and Long Length Cardigan using Sirdar Faroe Chunky. 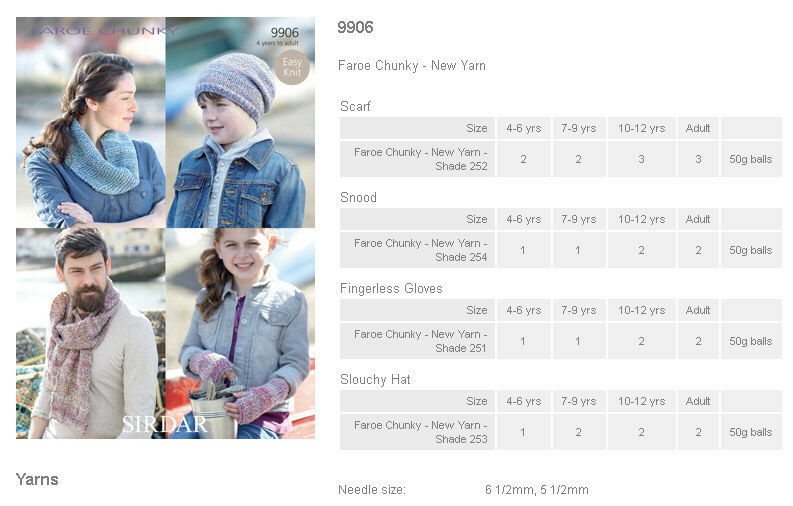 9906 - Scarf, Snood, Fingerless Gloves and Slouchy Hat using Faroe Chunky Leaflet with designs for a Scarf, Snood, Fingerless Gloves and Slouchy Hat using Sirdar Faroe Chunky. 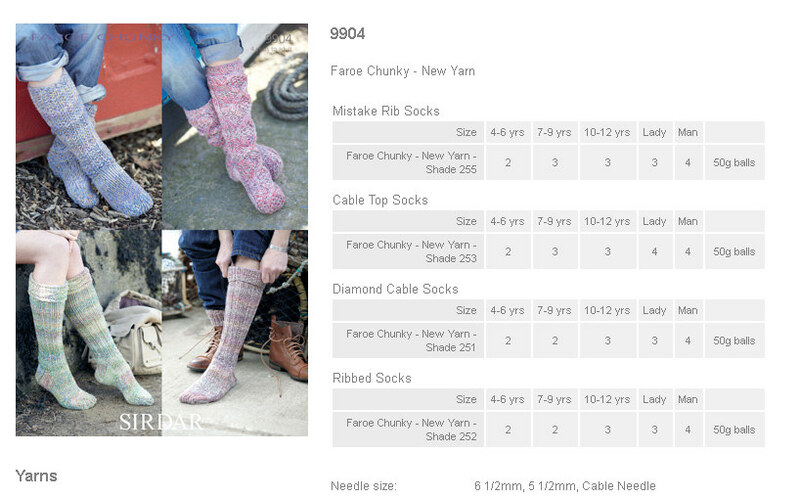 9904 - Mistake Rib Socks, Cable Top Socks, Diamond Cable Socks and Ribbed Socks using Faroe Chunky Leaflet with designs for Mistake Rib Socks, Cable Top Socks, Diamond Cable Socks and Ribbed Socks using Sirdar Faroe Chunky. 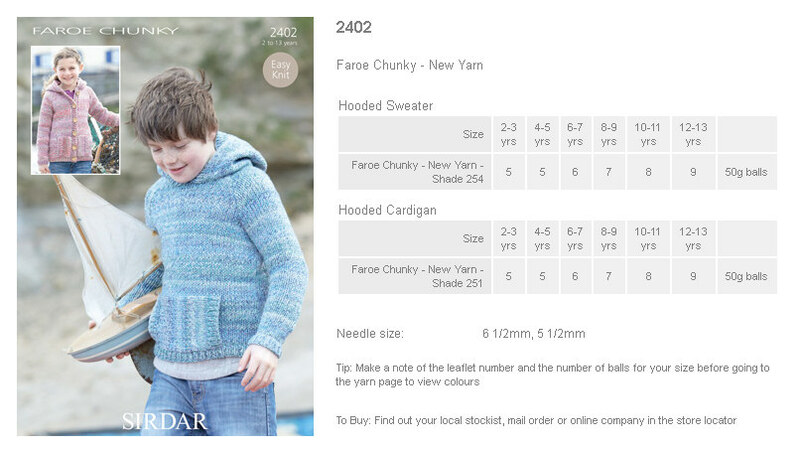 2402 - Hooded Sweater and Shawl Collared Cardigan using Faroe Chunky Leaflet with designs for a Hooded Sweater and Shawl Collared Cardigan using Sirdar Faroe Chunky.